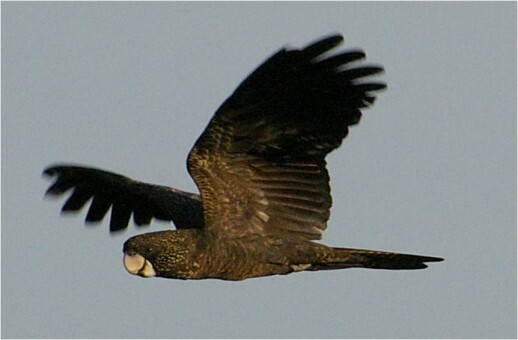 More than 135 volunteers participating in the range-wide search for the endangered South-eastern Red-tailed Black-Cockatoo have helped to locate over 1500 birds in stringybark country across the South-east of South Australia and South-West Victoria. The count, which was held on Saturday 2 May, has proved to be a big success with 38 sightings and eight large flocks of Red-tails ranging in size between 75-349 individuals located over the count period. In total 1545 birds were counted, which is seventy seven more birds than our previous best tally of 1468 recorded back in 2012. The result is particularly pleasing given the lower number of birds recorded in the two years previous. This confirms our suspicions about birds being missed in previous counts, rather than the population suffering a rapid decline. Although the number of birds recorded is the best yet it should not be interpreted as a population increase. The critically small population is believed to be still in decline based on the ongoing loss and deterioration of the species’ key habitats. This year the birds were again dispersed widely, with sightings from as far north as Mt Charles in South Australia to Rennick State Forest in the far south-west of Victoria. By far the greatest concentrations (over 67%) of Red-tails were found in the southern part of the range, with large flocks found near Rennick, Comaum, Nangwarry, Digby and Roseneath State Forest. As in 2012, many of the larger flocks were recorded coming in to drink at farm troughs, making for accurate counting. The largest flock encountered this year, totalling a staggering 349 birds, was found coming in to drink on private property to the east of Rennick State Forest in the days following the count. The most birds counted on the day (Saturday 2 May) went to the Lord Family, who counted a whopping 272 birds over the course of the day. Over 70% of the birds found on the day were recorded in or adjacent to tracts of Brown Stringybark forest. An abundance of Red-tails in a particular area generally coincides with the fruiting patterns of the stringybark. Based on this knowledge, it would appear that the Brown Stringybark is carrying the most recent seed crop. Several mid to large sized flocks were also encountered in the northern parts of the range. 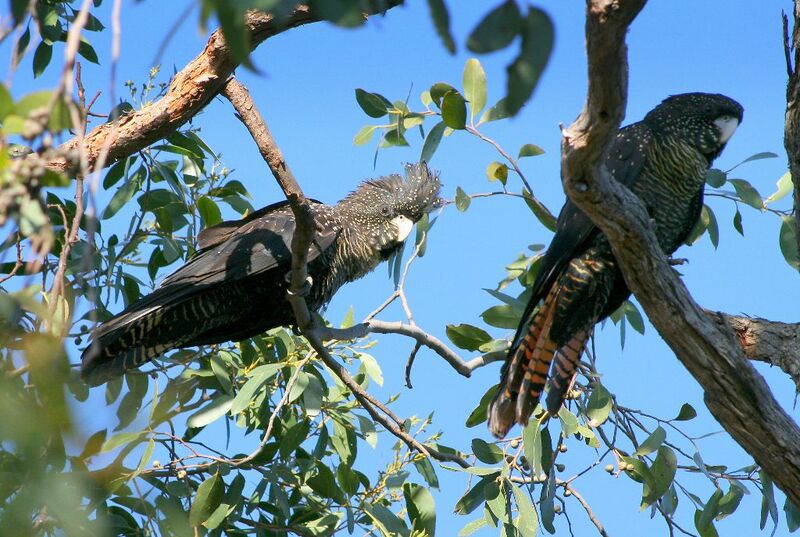 Of particular interest were the 100 birds feeding in Mt-Arapiles – Tooan State Park around 20kms south-west of Natimuk. Although the park is within the cockatoo’s range the birds are not commonly recorded in this area. 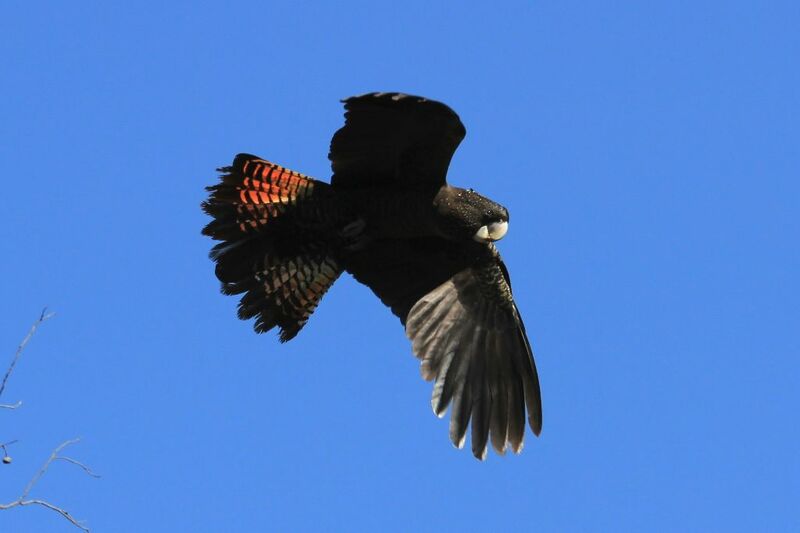 Other areas in which Red-tails were recorded include Meereek State Forest, Yallakar State Forest, Clear Lake, Frances, Powers Creek, Penola West, Naracoorte Ranges and Lucindale. Again, there was an absence of birds recorded around Casterton (where two years ago 233 birds were recorded) and around Lower Glenelg National Park. Both areas have, in more recent years, been largely affected by fire. The success of this years’ count has been attributed to the large number of pre-count sightings and information received in the weeks leading up to the count. In particular, information with regard to drinking sites has enabled team members and volunteers to be strategically placed at watering points where birds have been recently seen drinking. In addition, the weather conditions on the day where in general far more conducive to searching for Red-tails than last year. Information gained from the annual count is used to determine patterns of habitat use, the minimum number of birds and most importantly the number and location of large flocks. This information is critical for project staff to be able to carry out annual flock counts (counts of males vs barred birds - females and juveniles), which provide the best and only indication of breeding success. The annual count also helps to raise awareness of the needs of the cockatoo and offers volunteers a chance to become involved in recovery activities. There was again a wonderful turnout of volunteers comprising locals, farmers who chose to survey their own stringybark patches, and interstate participants who travelled from as far away as Adelaide and Melbourne to assist on the day. 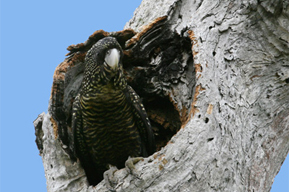 Volunteer effort was again outstanding with 69 groups spending over 275 hours scouring more than 2,800 kms of stringybark forest for the cockatoos across the range. 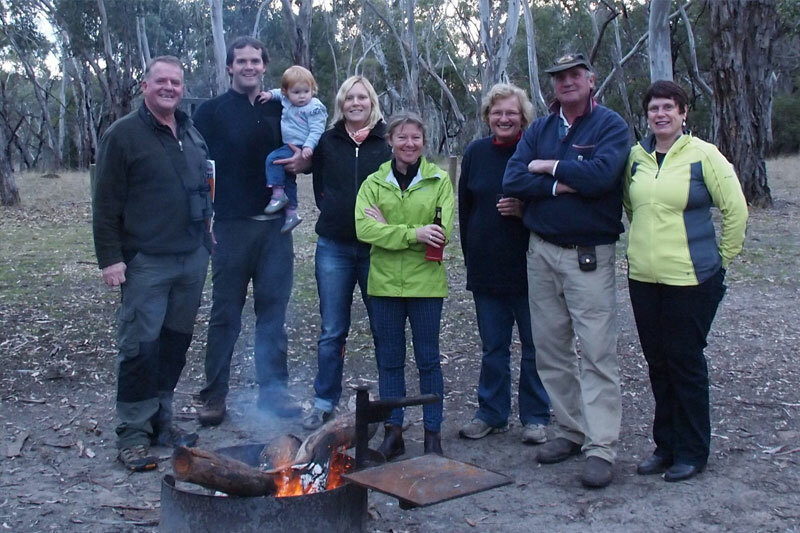 The annual Bailey’s Rock Dinner and Campout was again a success with around 25 volunteers attending the night. As usual there was a good amount of bragging and banter about who saw the most birds, plus some informative talks from Tim and Richard about Red-tails. On behalf of BirdLife Australia and the Red-tail Recovery Team I would like to congratulate and express my sincere thanks to all the wonderful volunteer observers, including those that reported sightings in the lead up to the count, who have helped yet again to make this event so successful. Without your incredible effort, this event would not be possible – so a big thanks to all. I’d also like to say a special thanks to Evan Roberts, Felicity Lord, Ros Bradey and Kerry Gilkes for their assistance with promoting the count and getting local landholders involved on the day and Tim Burnard for running the training session in Casterton and organising the campsite at Baileys Rocks. A map of the count results will be available on the annual counts page very soon.